This restaurant is quite an institution: located outside the city center and hidden in the old pavilion for many years and there is a great Greek food not only for the residents of nearby houses, but also for those who are longing for the delights of the holiday and can drive kilometers and traffic jams to get here. What do we associate Greek cuisine? Standard with feta cheese, olives, olive oil and moussaka. 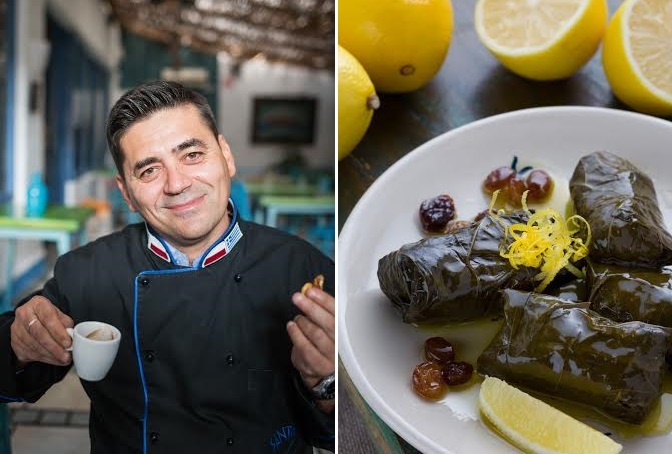 This, however, who had the pleasure of visiting Greece – primarily from extremely fresh ingredients, fish spiced only with olive oil and lemon, excellent lamb and small doves zawijanymi in grape leaves. And of course – Greek wine and ouzo! Sragnieni repeat of holiday flavors centers are located in Santorini. 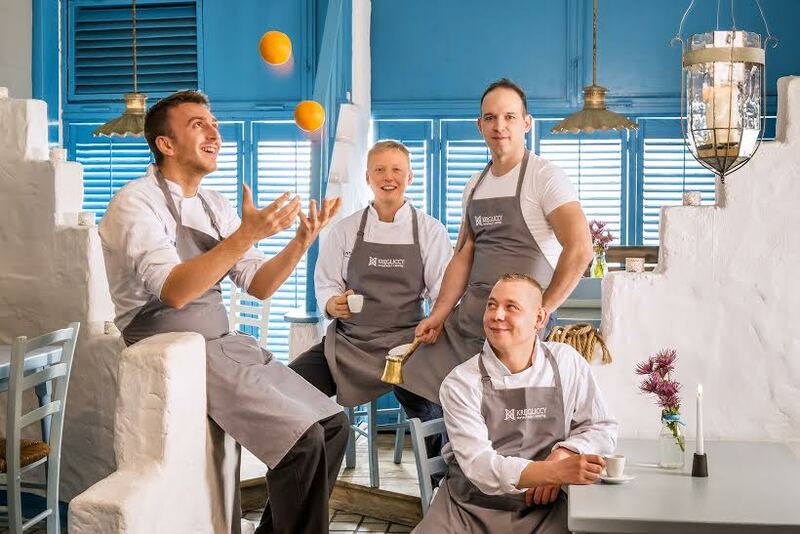 However, because this place belongs to a pair of recognized restaurateurs – Agnieszka and Marcin Kręglicki – given where Greek cuisine goes far beyond the stereotype. It is so enriched, would not lose the authenticity, but to bring out the best of the dishes in Greece usually cooked up fuss. With the rest is not a restaurant, but the tavern – there has to be simple, fast, good. Hardly anyone looking at the pavilion at the Prague South would have thought that in a bookshop and florist shop is the place where on Fridays and Saturdays life boils: on these evenings in Santorini you have to apply for a place, because that’s when the tavern is played live music and … are mashed plates. This old Greek tradition: all feasting get up from the table and Zorba dance together to end it a spectacular scene of breaking plates, of course, luck. 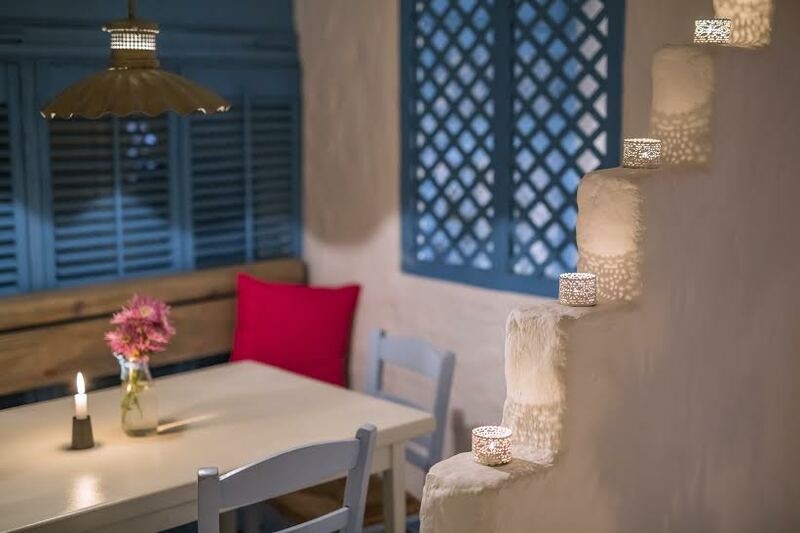 That matters to anyone who will read the card in Santorini: in fact this place is great and for summer, family feasting and nostalgic lunch with a reminder of exotic flavors and – what we like the most – tawernowe meeting over many snacks from the decanter of wine. When it comes to snacks, there is a choice; proven classics are of course variations on feta cheese – whether in rożkach with filo pastry with spinach or grilled with tomatoes and oregano, or in roladkach eggplant – but book squid and another Greek cheese, Kefalograviera. Served hot with pita bread (here are the two types, be sure to check that fits you more! ), Melt in the mouth. We can not resist the local pastes also fed with warm bread: tzatzikom (yogurt, cucumber, garlic), taramosalacie (or paste cod roe), chtipiti (spicy with feta) and Fava (peas with olive oil) and plastrom octopus in olive oil and vinegar . And – of course – been done on the spot aromatic miniature doves with raisins, zawijanymi in grape leaves. Soups – although fish here is great – always choose lemon, because where outside Santorini it get? If “we place” on the second course, the choice is not easy. They tempt because both roasted eggplant (both in the form of mussaki and melitzanef furnu – the cheese manuri) and grilled octopus, so I usually choose … lamb. Or in the form of a burger (kind of boring, but what good!) Or in the form of chops on the bone, or – our favorite – baked in parchment with root vegetables. There are also those who go specifically to Santorini on soft goat – administered here simply with herbs, stewed in olive oil (as in how many places in Warsaw will get crumbling even goat meat?). Since some of the items in the Charter, especially those unique, you can easily become addicted. For example, local desserts. We suspect that the regulars Santorini divided into two factions: one that faithful is chocolate and years ordered chocolate cream with brandy and figs, and those who cut would have given a cream with fruit and take millefeuile (here known as milfei) – sheets of filo pastry layered with vanilla cream and topped with strawberry sauce. Both factions should end such great Greek food Brightening coffee brewed in the pan: fusiastą, brązowoczarną, viscous – only she is able to revive us after such a feast!